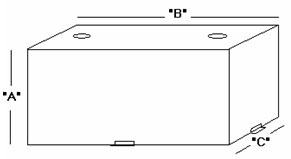 110 Gallon Fuel Transfer Tank - DOT Certified for Gas or Diesel w/ Fill-Rite FR1210 Pump - John M. Ellsworth Co. Inc. Transfer Tank Packages include a 110 gallon aluminum refueling transfer tank designed for diesel and gasoline. The package also comes with a Fill-Rite FR1210 12 volt pump producing up to 15 GPM.